Super Phuket Offer: Save 50% + Bonus! Book your 2019 Patong holiday now and save 50% at Horizon Patong Beach Resort & Spa! This affordable Phuket accommodation is ideally located in the popular area of Patong, just moments away from the beach and nearly to nightlife, entertainment, markets & restaurants. Horizon Patong Beach Resort & Spa boasts a great selection of room types catering for couples & families with access to on site facilities including swimming pools, kids club, day spa & more. 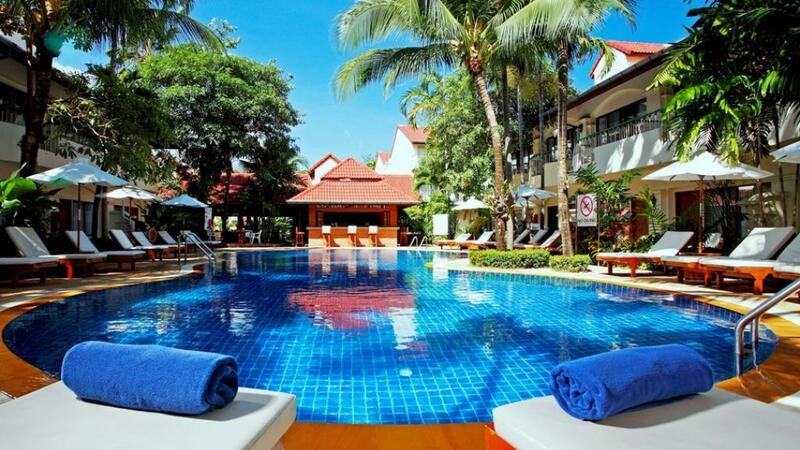 Picture yourself poolside with this fantastic Patong holiday deal saving over 28%! Horizon Patong Beach Resort & Spa is ideally located just across the road from the stunning Patong Beach on Phuket's famous West Coast, with the shopping and entertainment district only a stroll way. This Phuket accommodation boasts a wide range of facilities that are perfect for a relaxing family holiday or couples getaway including kids club, restaurants & bars, swimming pools and day spa.